Ceiling fan installations in Roseville are a breeze for our electricians! Here are a few steps our electricians take when replacing a ceiling fixture and hanging a ceiling fan. Step One: Protect the customer’s floor and poly off the area! Many times, when taking down an old light fixture we find brittle sheetrock, chipped plaster and sometimes dead bugs! Step Two: Tracing out the circuit and shutting off the power is key to not getting shocked! 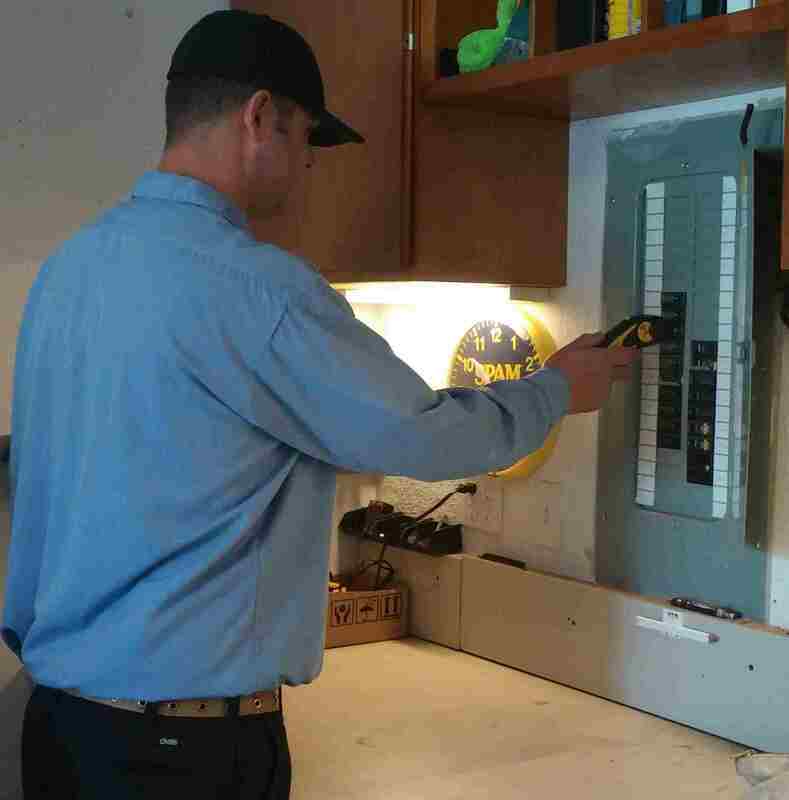 When identifying the circuit with our Ideal circuit tracer, our electricians inspect the circuit breaker and the wire for proper size and condition. We also inspect the associated wall switch wiring (if present) for good connections and safety. 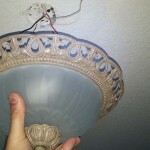 the connections (vibration from a fan motor or heat from a light fixture can weaken the electrical connections). 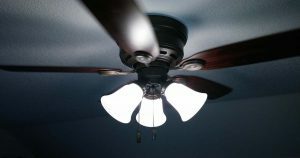 Replacing a ceiling fan or light fixture is a good opportunity for some preventative maintenance. We also check the listing on the box for proper ceiling fan support ratings. Step Four: Follow the instructions, assemble and hang the fan! 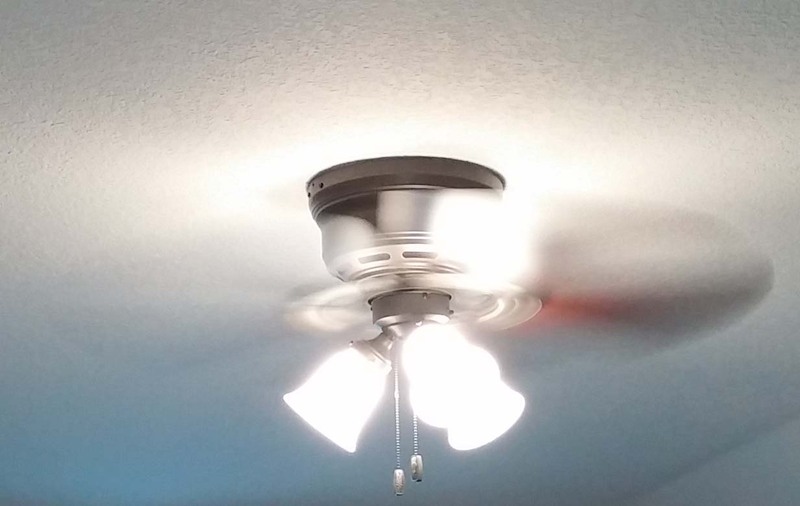 Even if you’ve installed a ceiling fan before, you should still read the manufacturer’s instructions and install the fan accordingly. One of the secrets to a well-balanced ceiling fan is making sure all the screws are tight during assembly. Hand-torque the screws with a screw driver, not a drill. Step Five: Re-energize the circuit and test the fan for proper operation and balance. Make sure the pull strings operate freely and any remote controls work properly. Balance the fan with the manufacturers balancing kit as needed. Step Six: Clean up any debris and recycle old lamps and light fixtures! 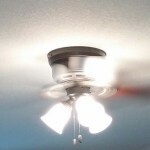 Make sure the fan is rotating counter clockwise in the summer or clockwise in the winter! 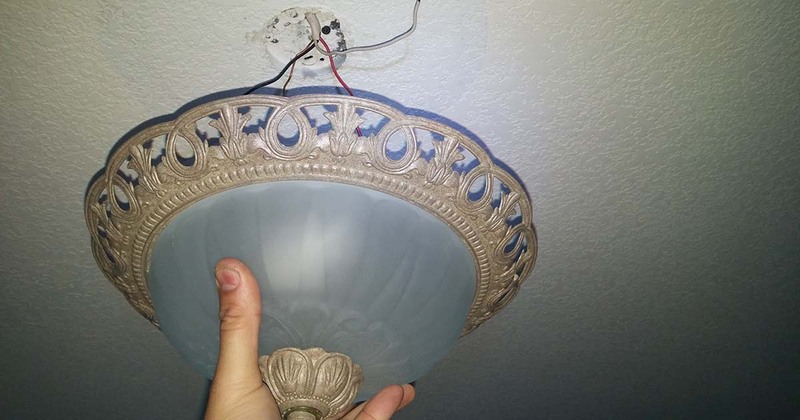 Hanging a ceiling fan isn’t always as easy as it seems – especially if the existing wiring is illegal or your junction box needs to be replaced. If your DIY electrical project has turned into more than you can handle, give us a call and we will pick up where you left off! Upfront, Affordable Pricing & On-Time, Guaranteed! © Edison Electric, Inc., 2018. All Rights Reserved.